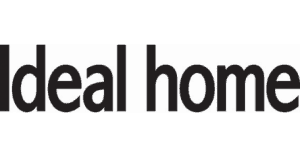 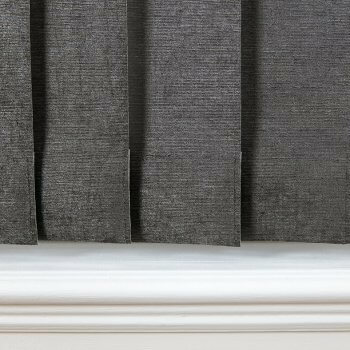 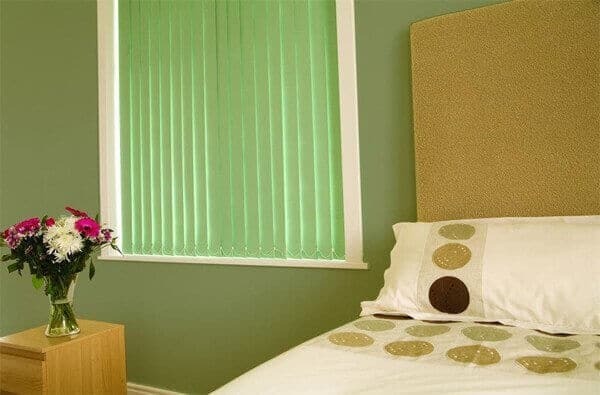 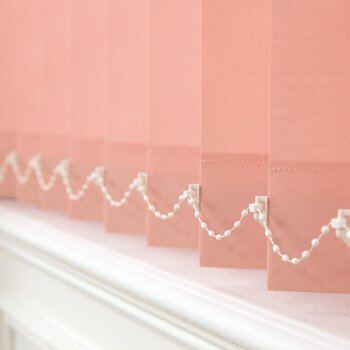 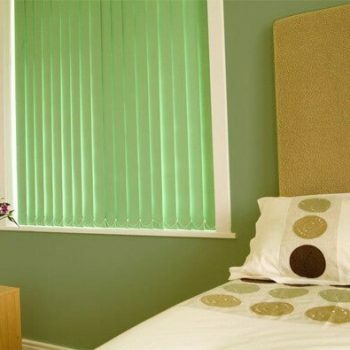 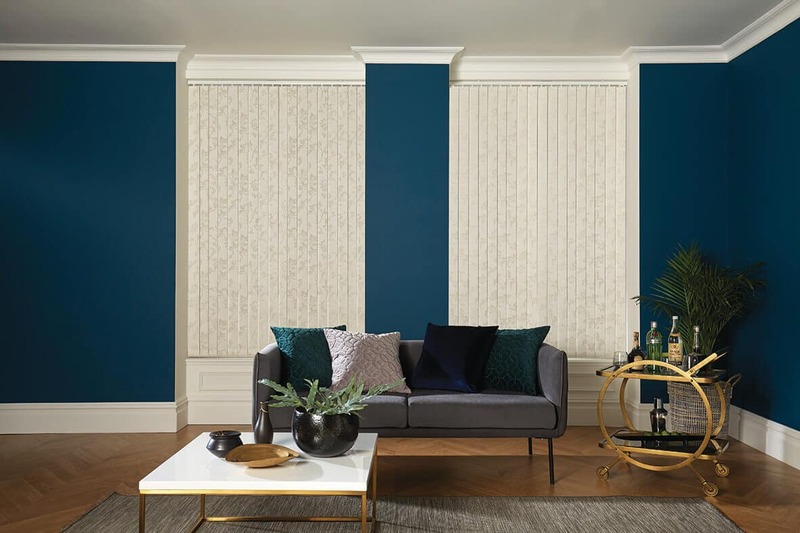 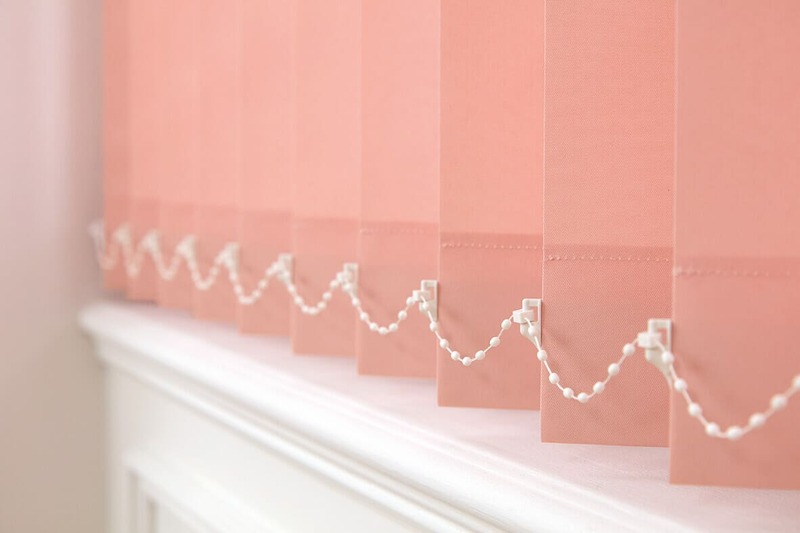 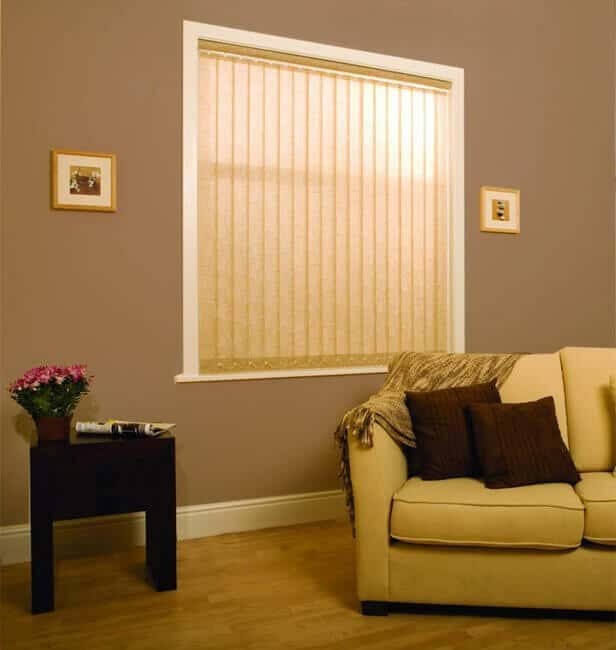 Looking for a blind solution that’s simple, effective and elegant? 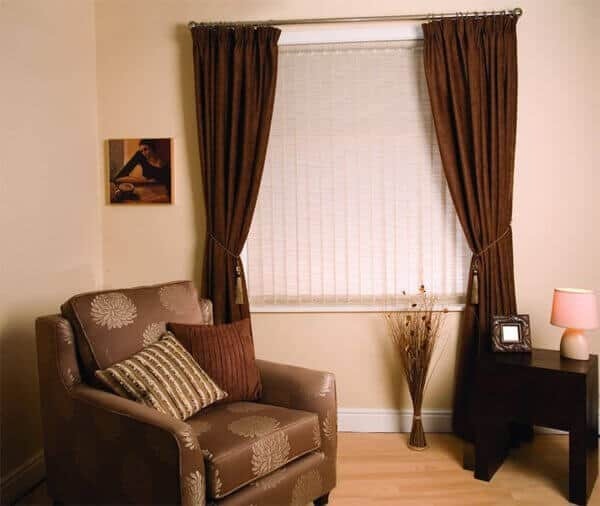 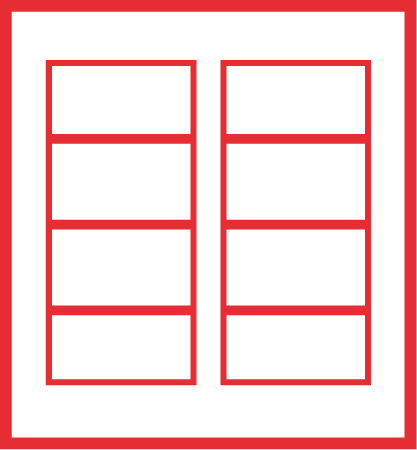 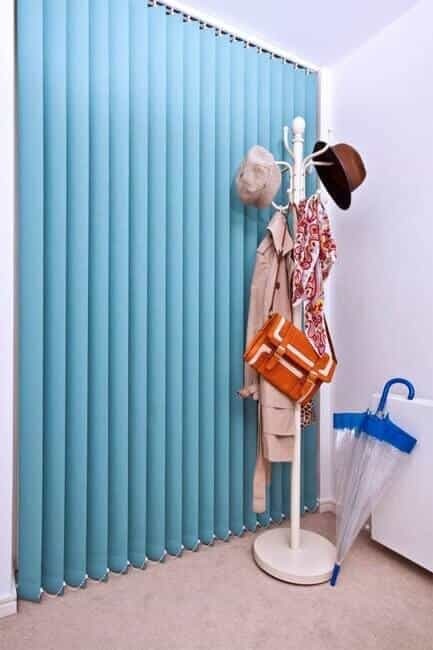 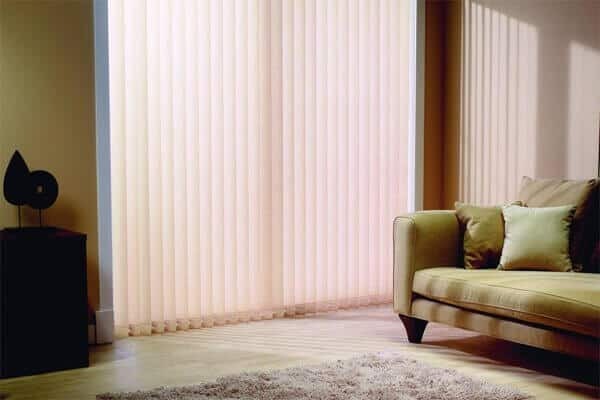 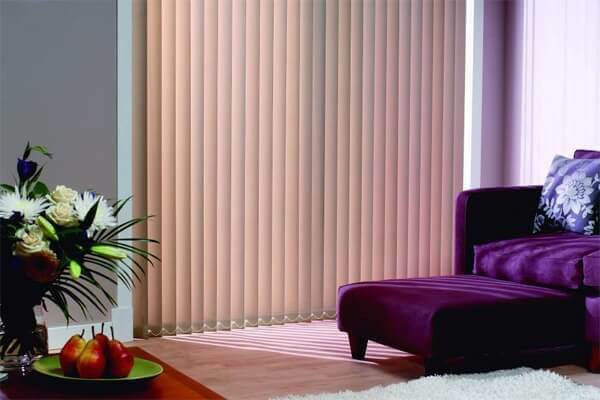 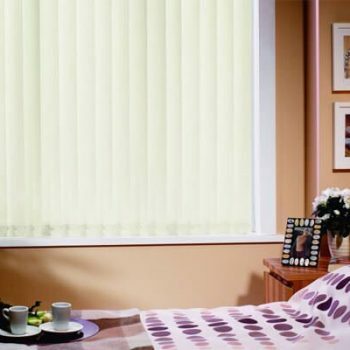 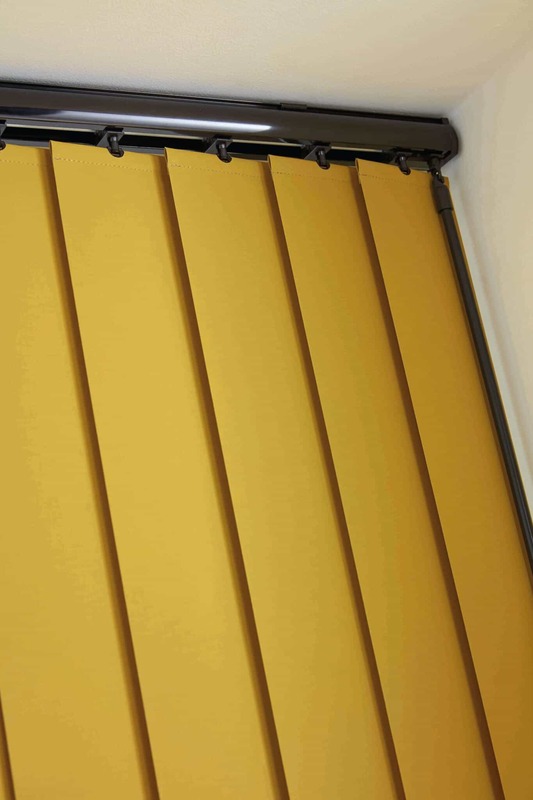 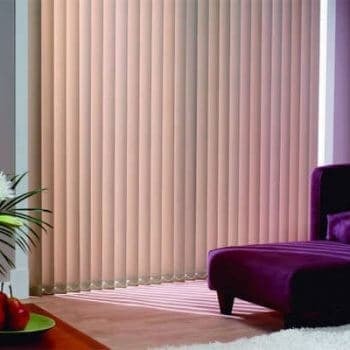 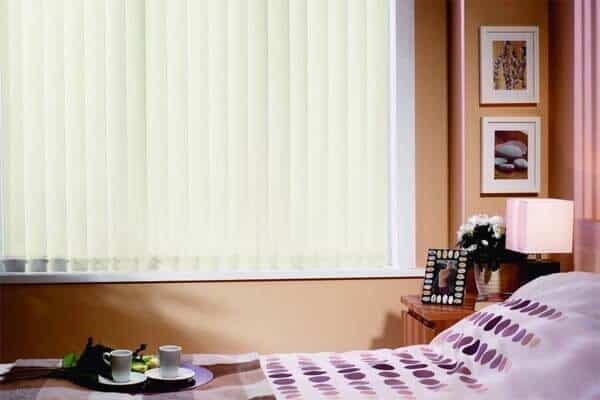 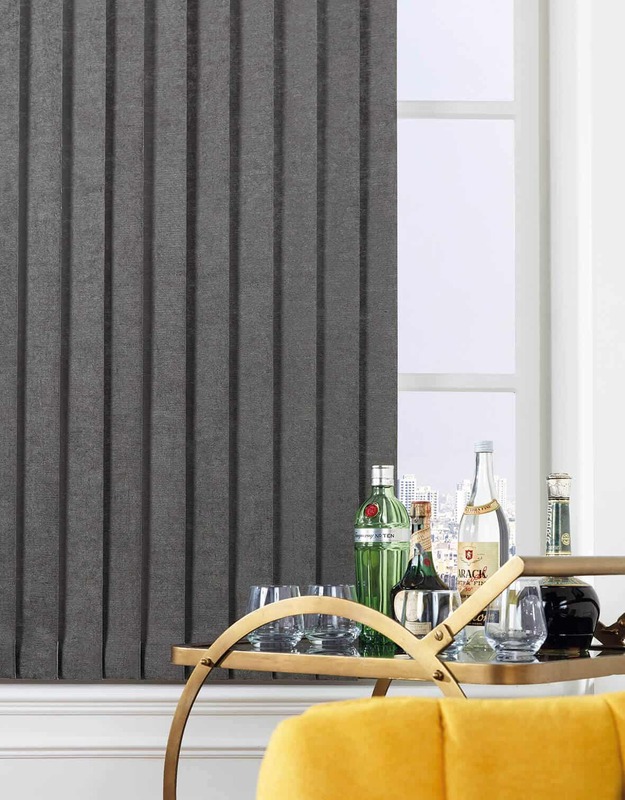 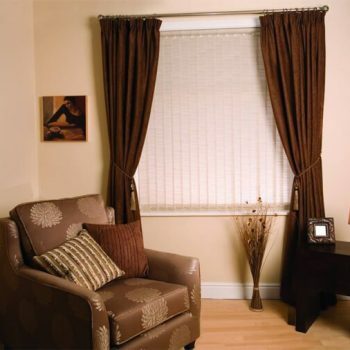 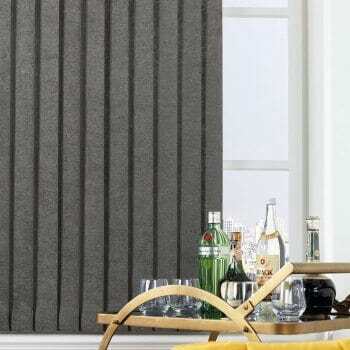 Vertical blinds offer you all of the convenience of blinds and curtains combined. 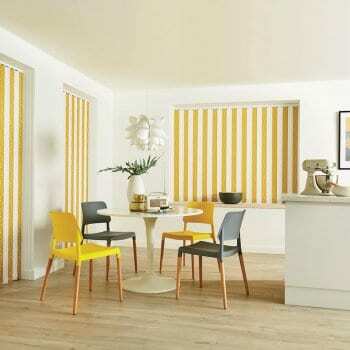 Made up out of a series of vertical strips, the blinds split down the middle and fold away, opening like a pair of curtains. 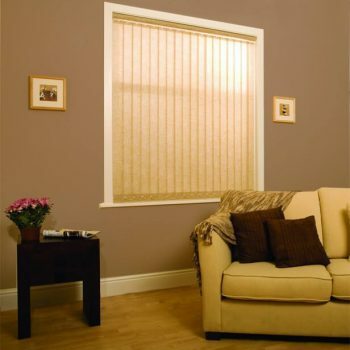 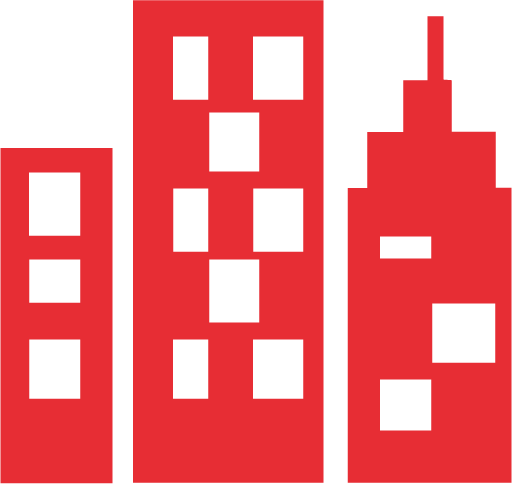 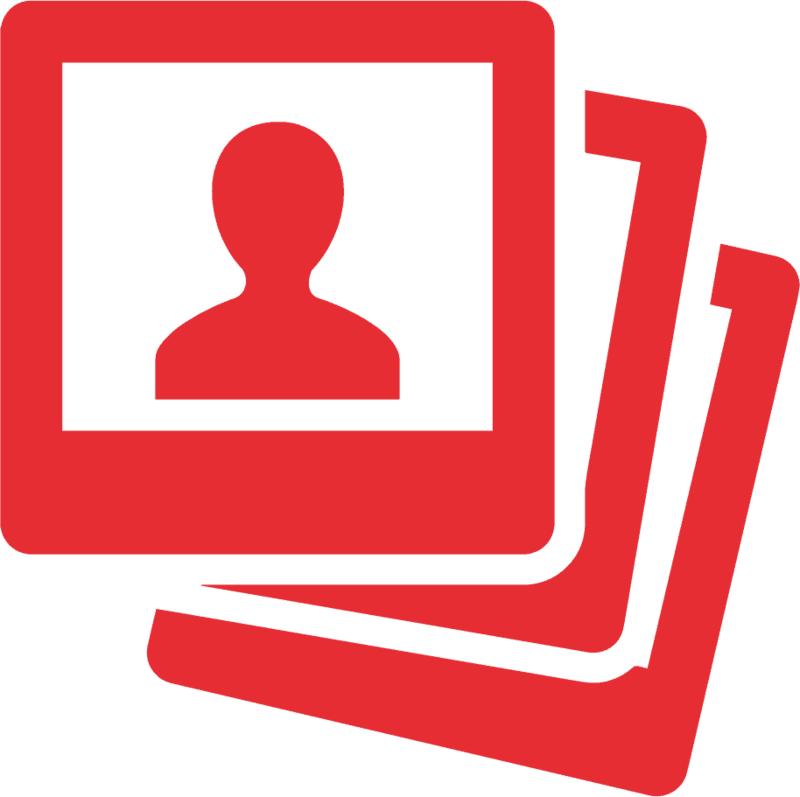 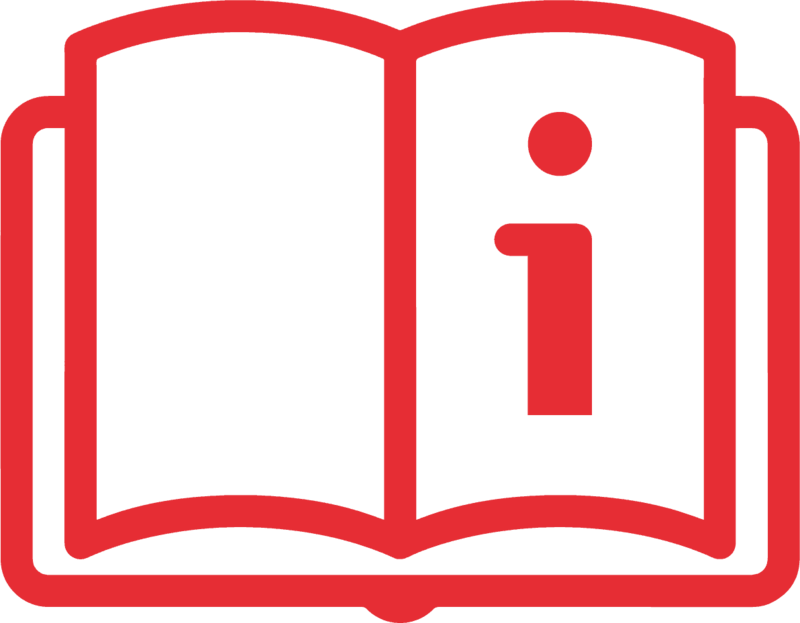 This allows them to be used as a simple substitute according to your needs. 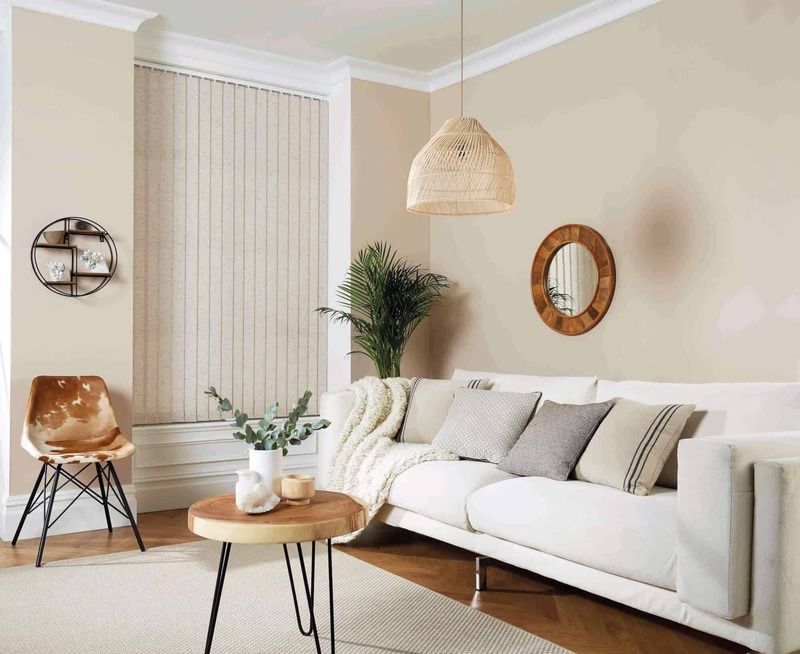 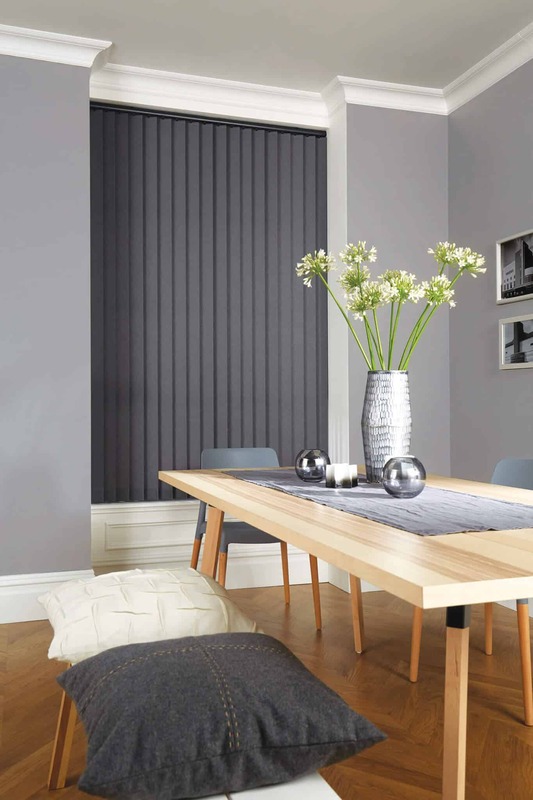 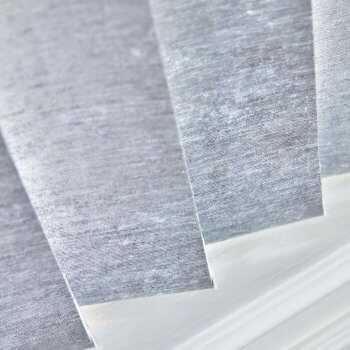 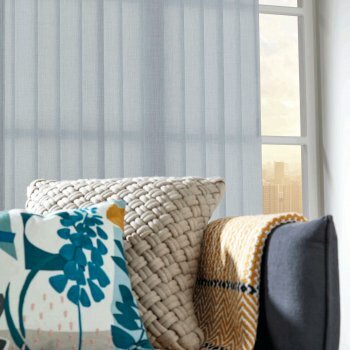 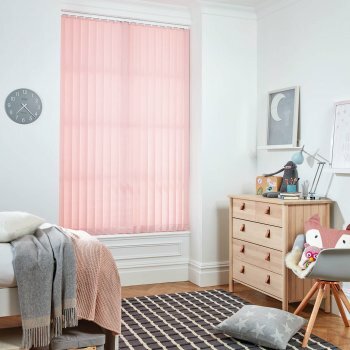 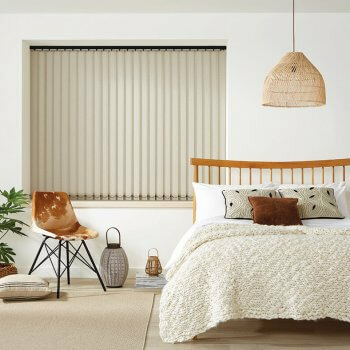 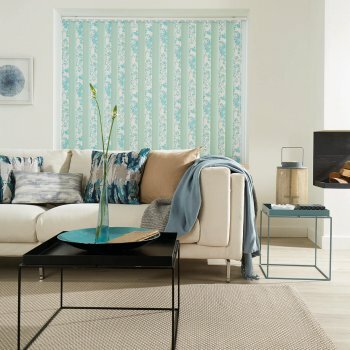 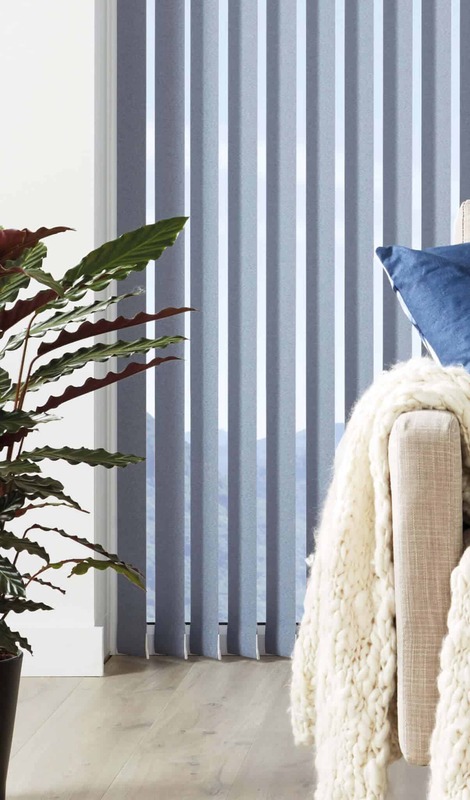 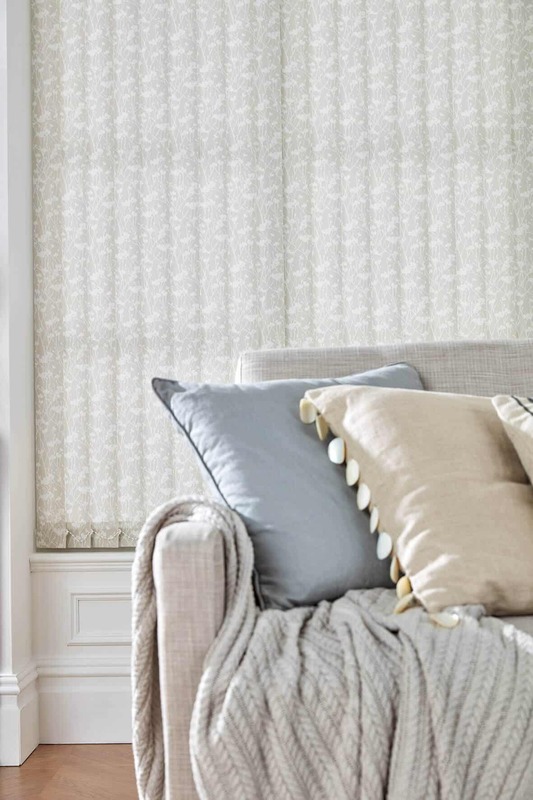 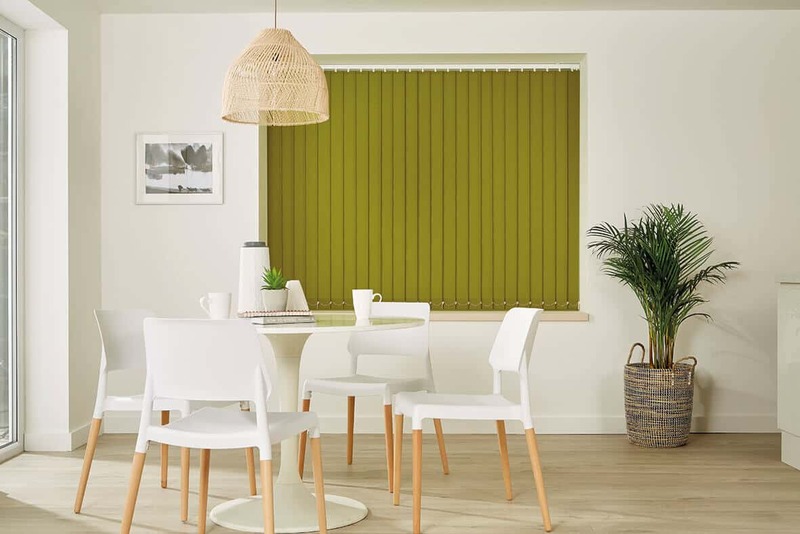 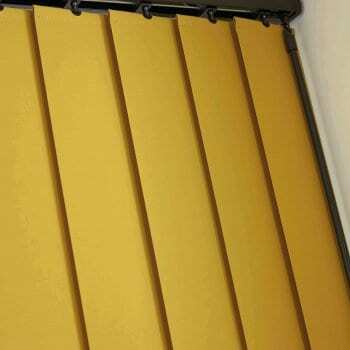 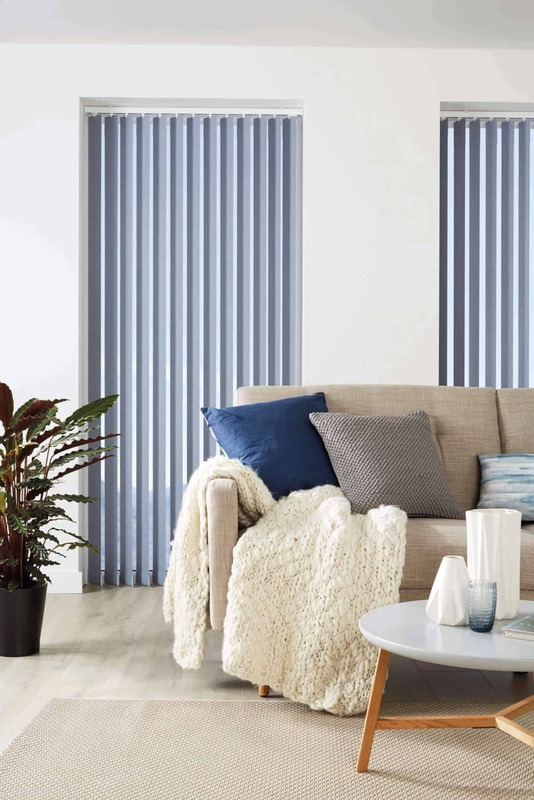 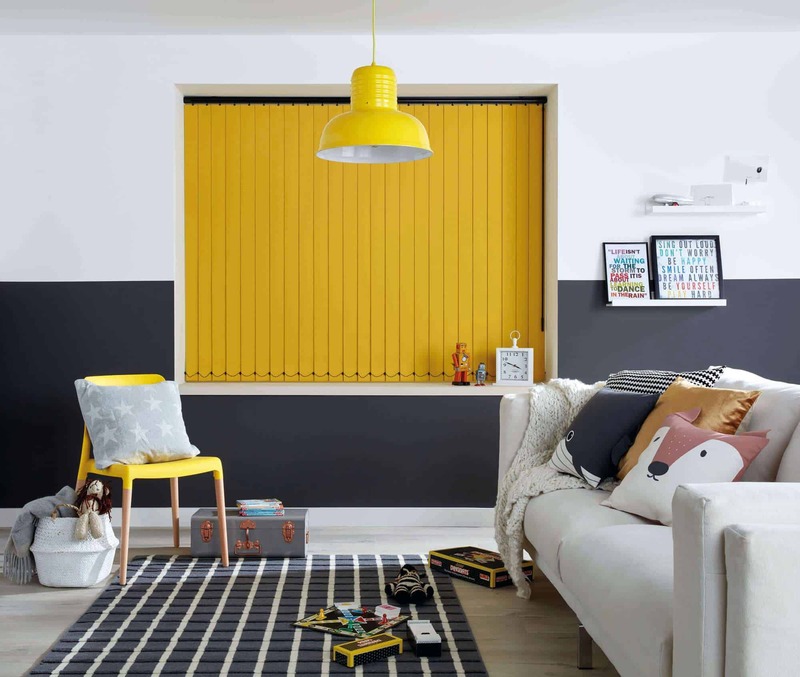 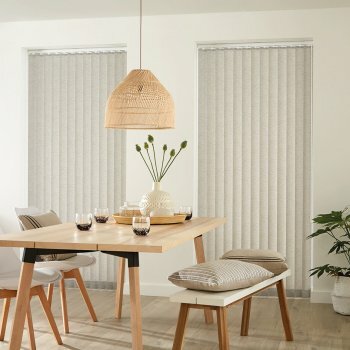 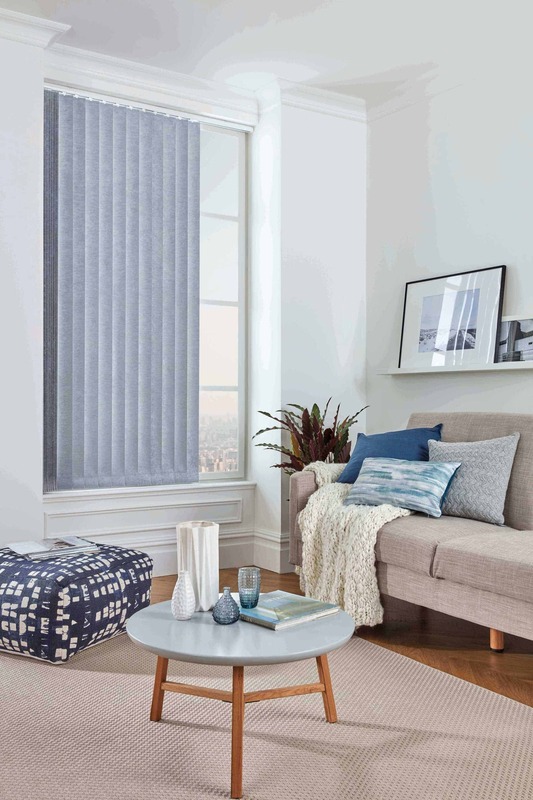 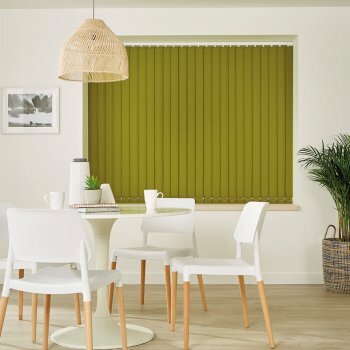 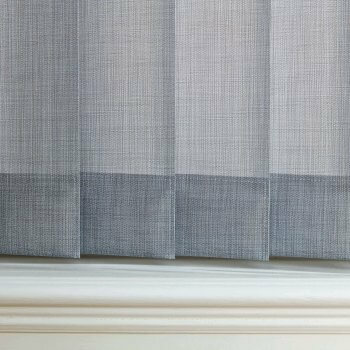 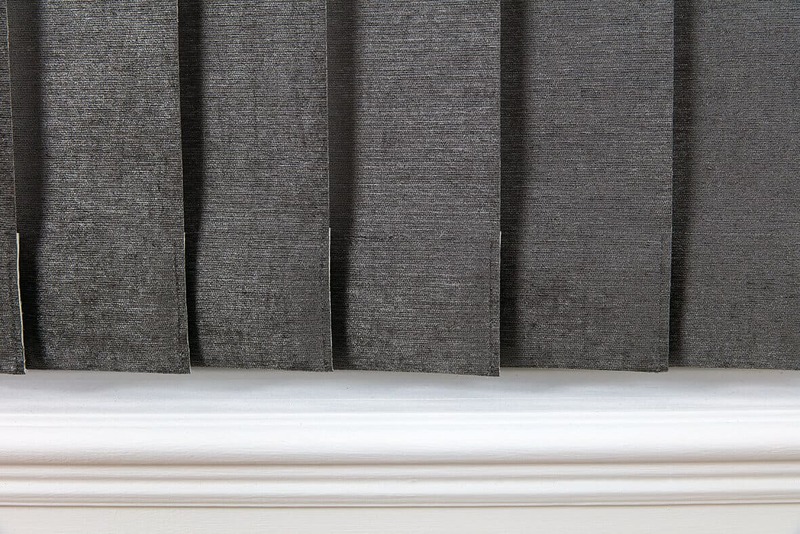 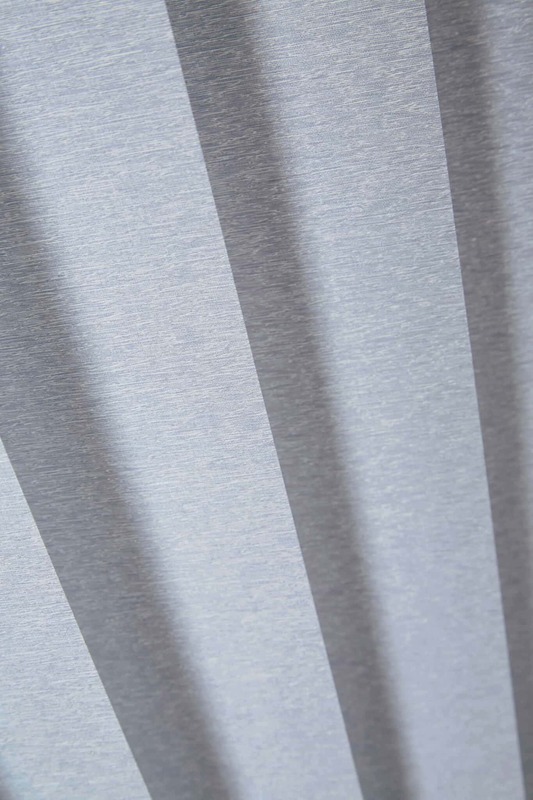 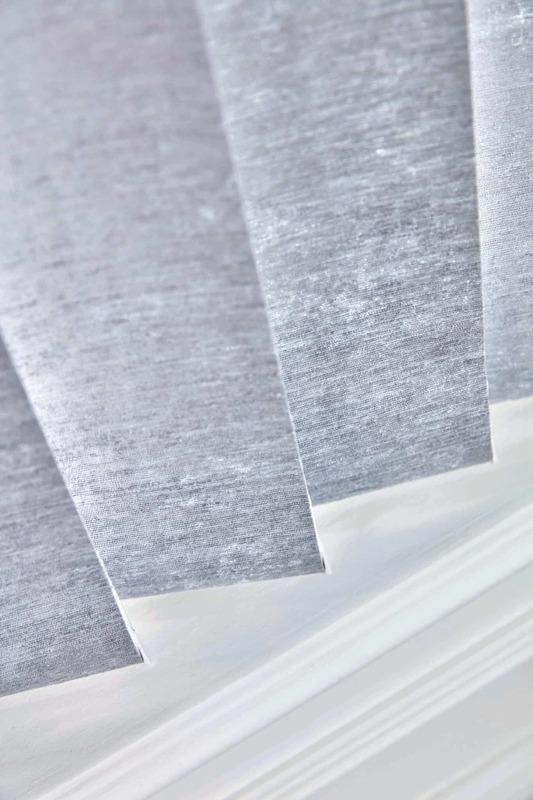 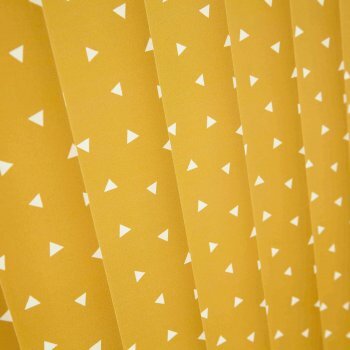 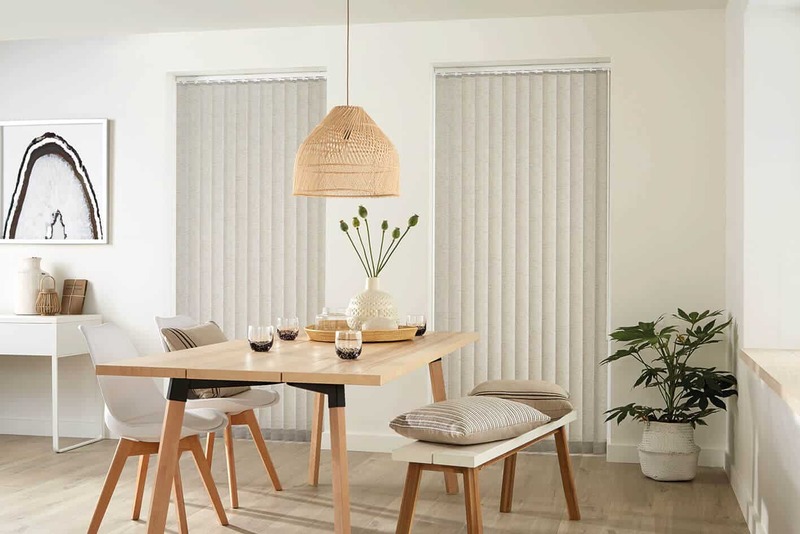 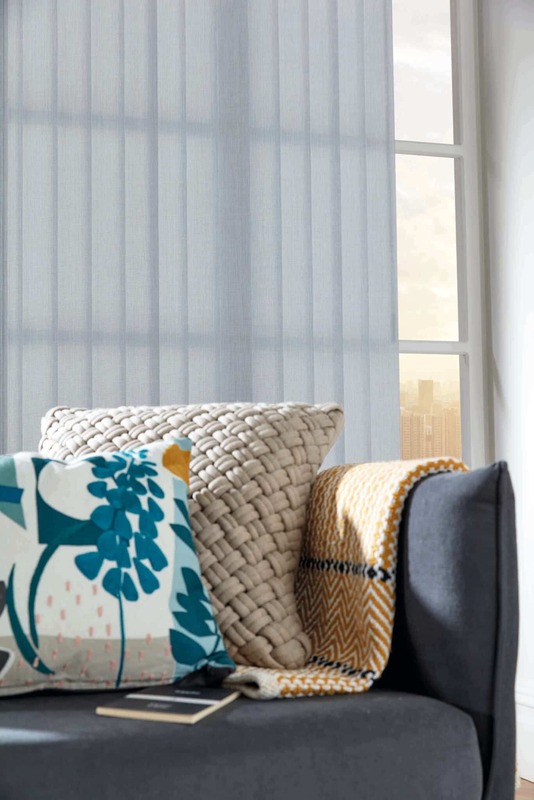 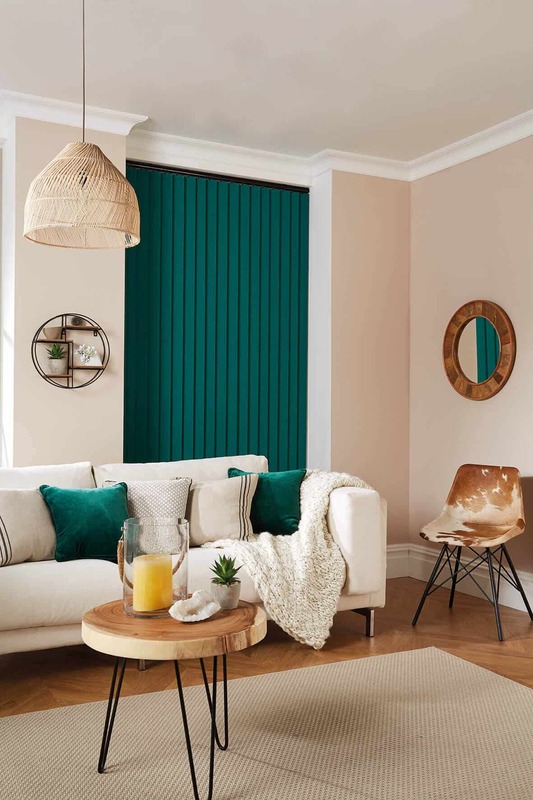 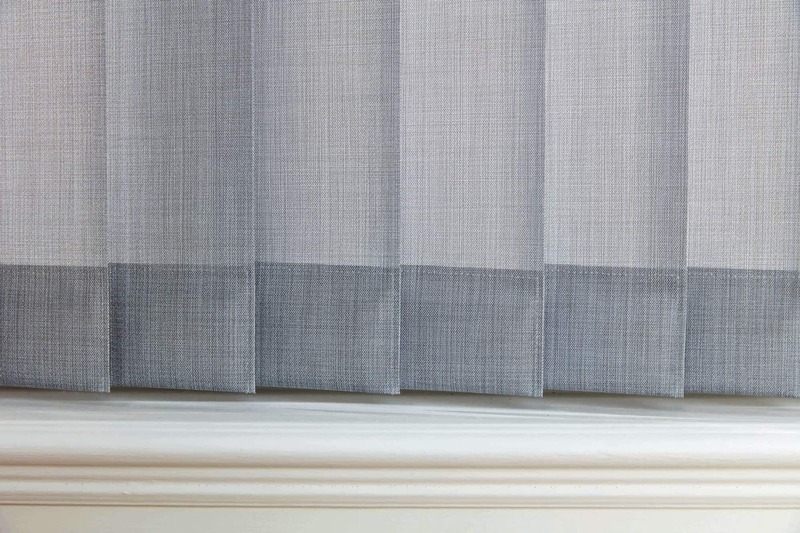 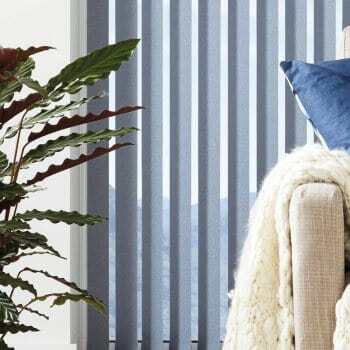 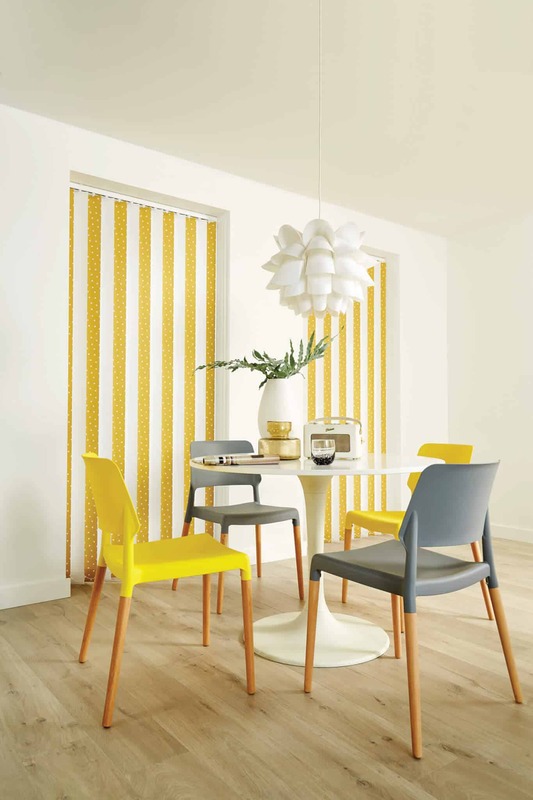 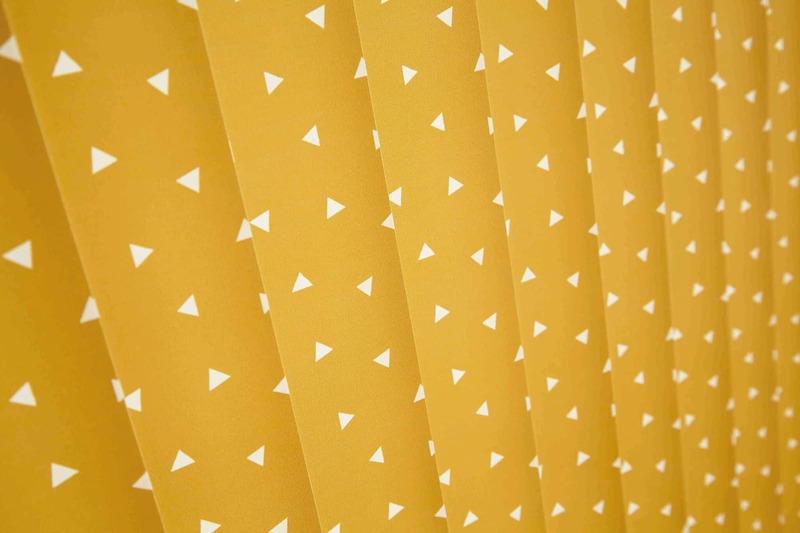 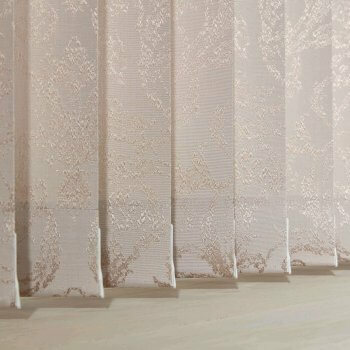 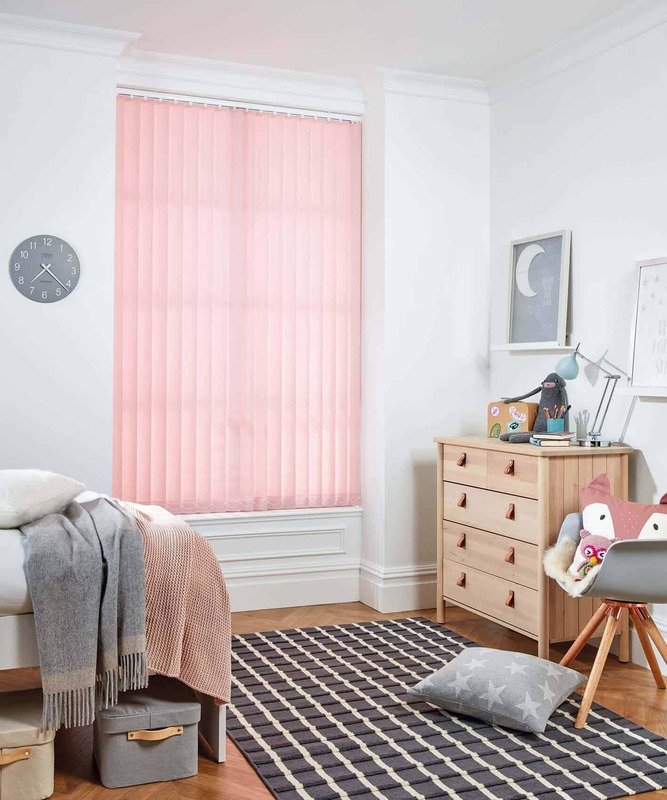 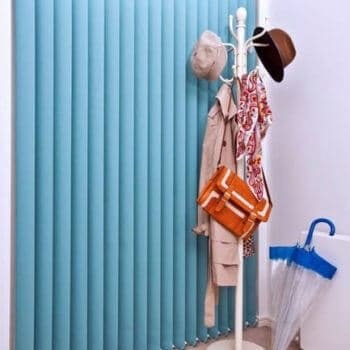 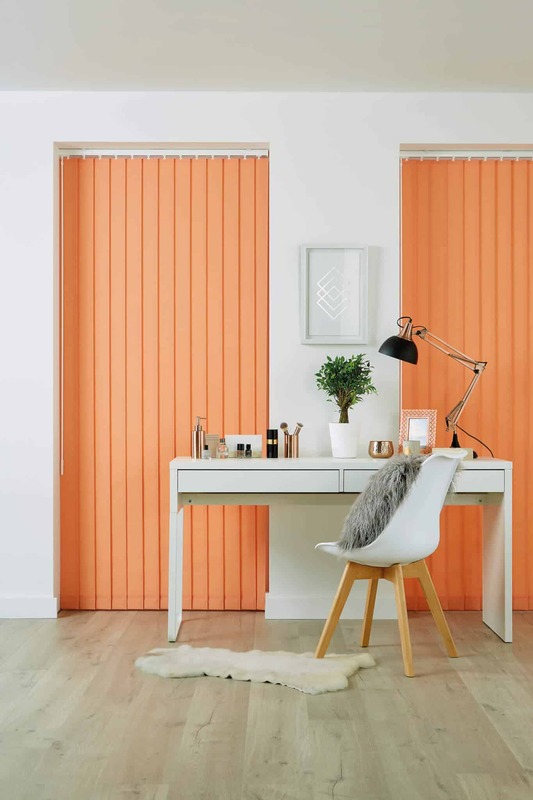 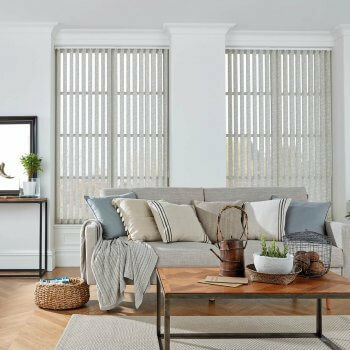 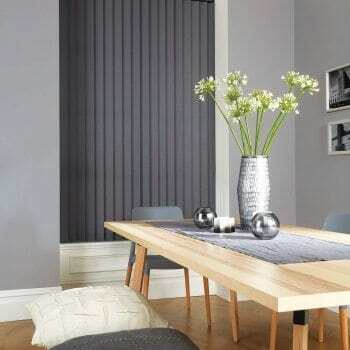 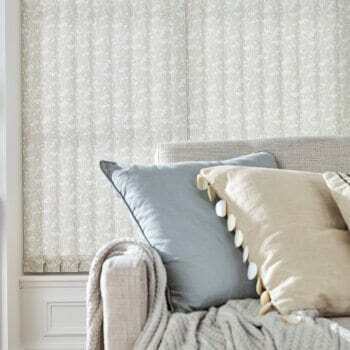 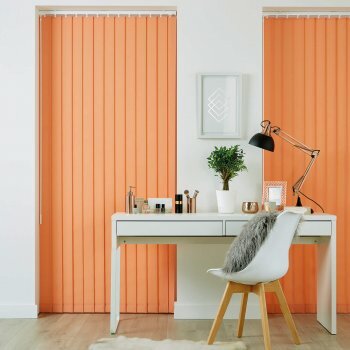 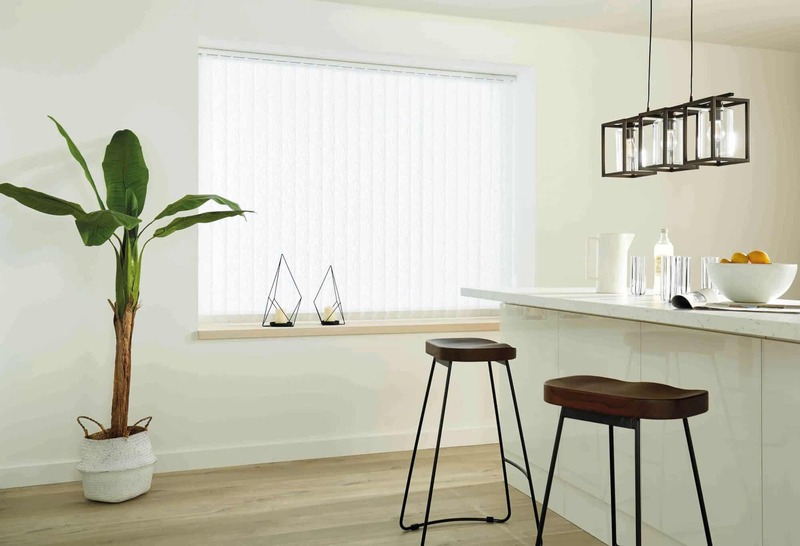 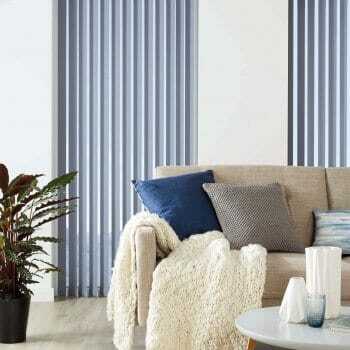 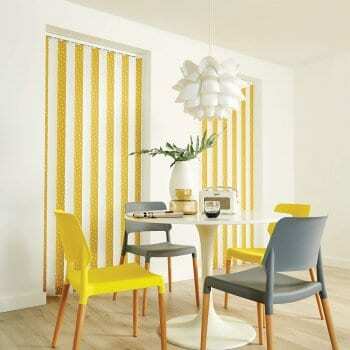 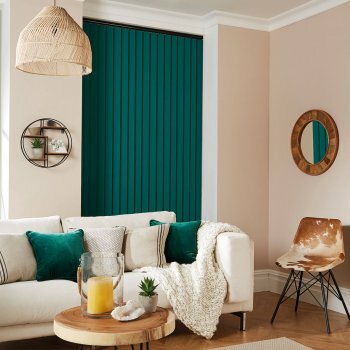 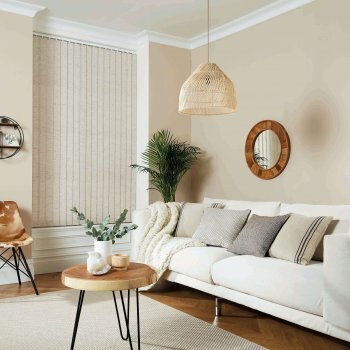 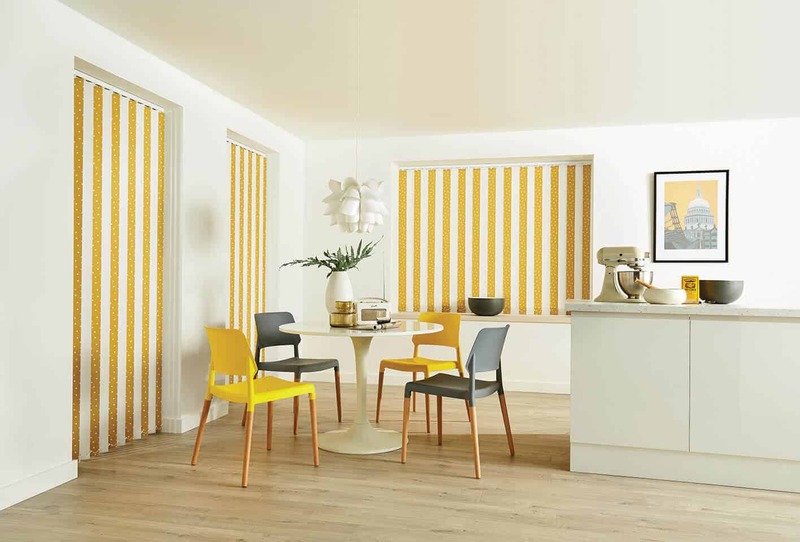 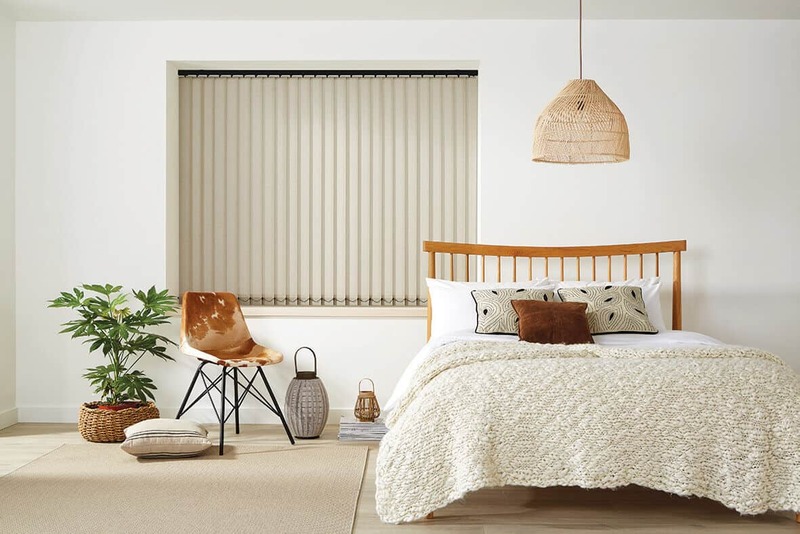 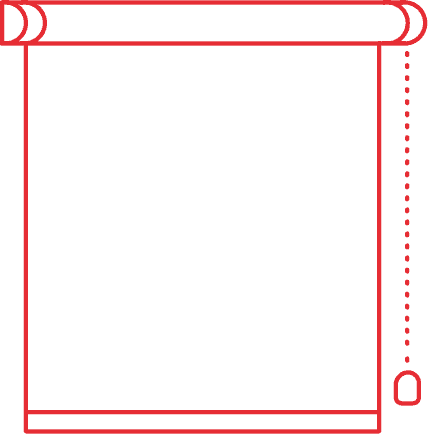 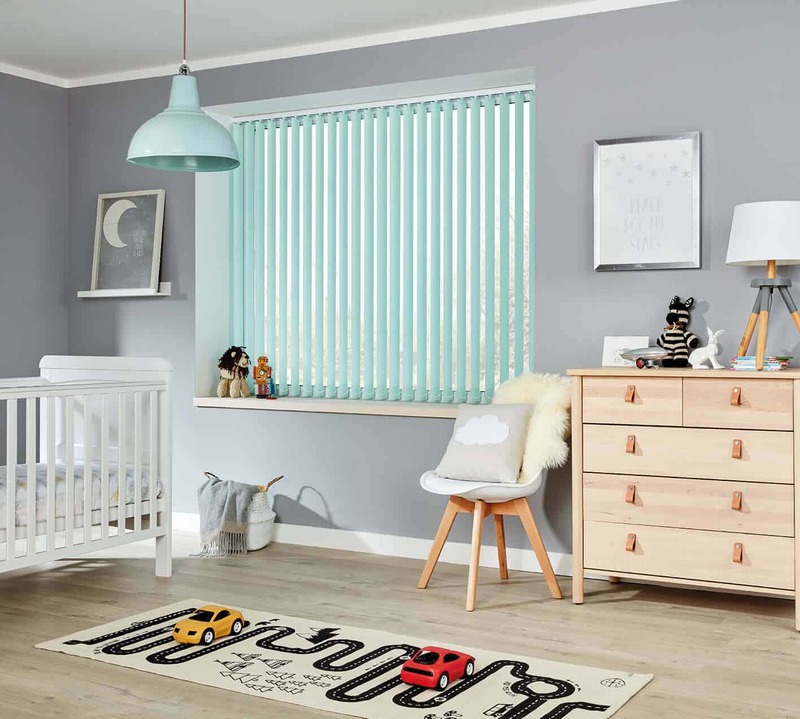 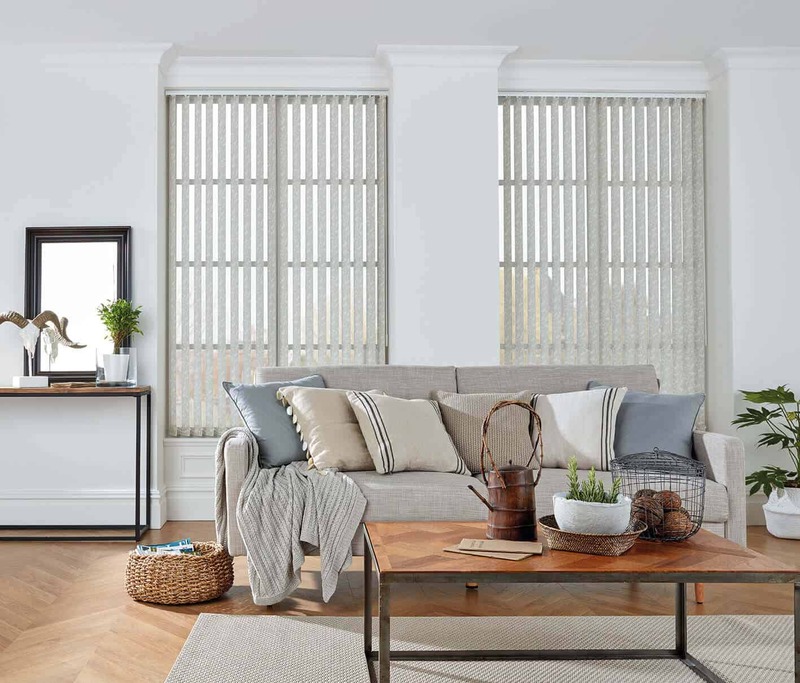 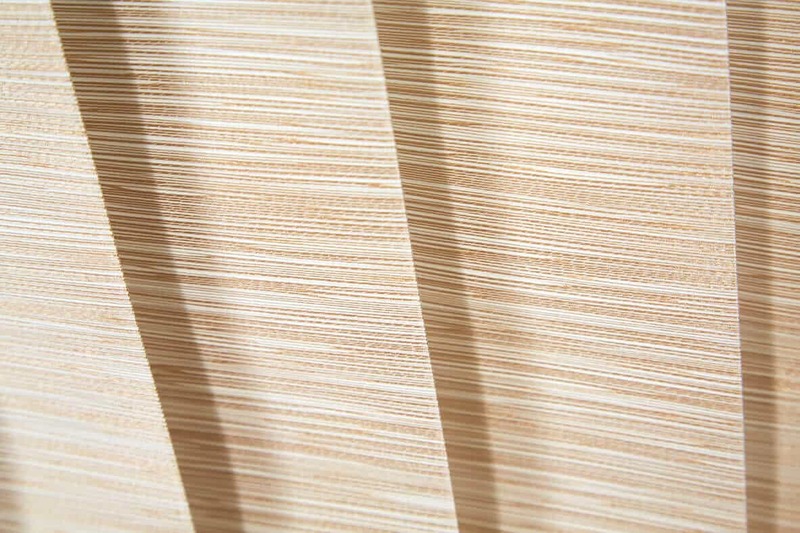 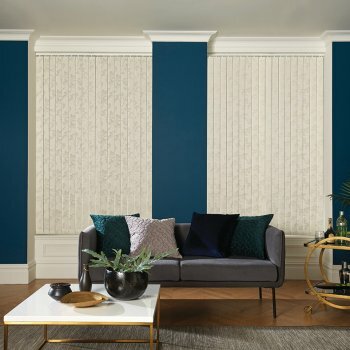 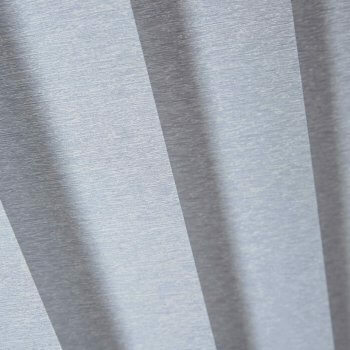 Vertical blinds offer and additional benefit when compared to curtains. 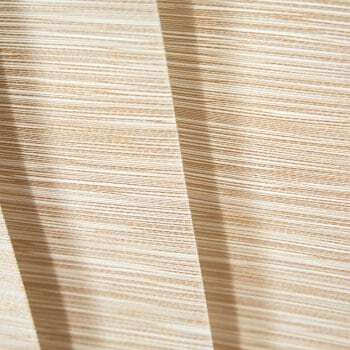 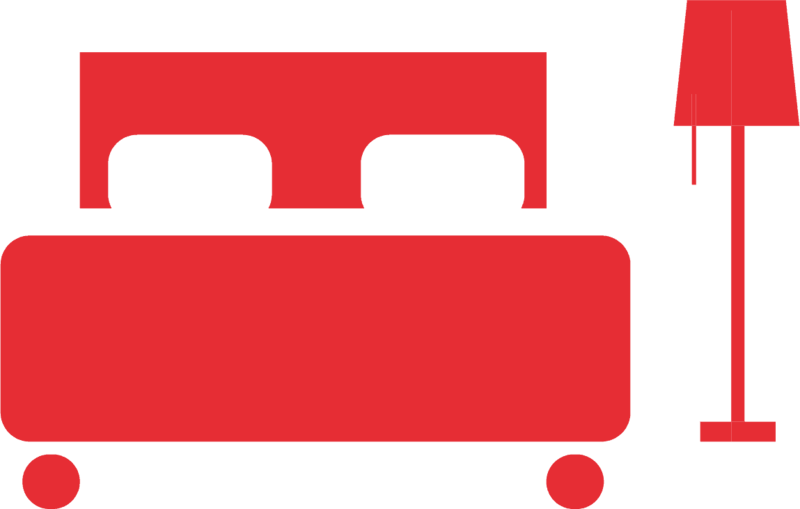 With the simple pull of a cord the angle of the individual strips can be changed. 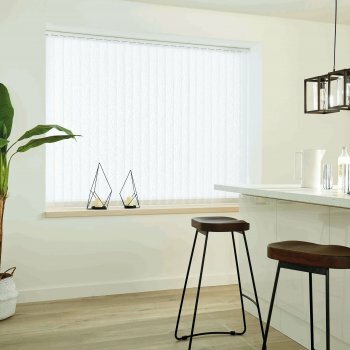 This allows you to infinitely vary the amount of light coming into the room as well as allowing adjustment to compensate for the angle of the sun. 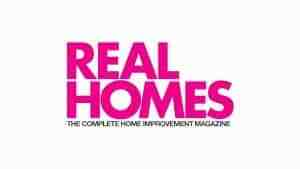 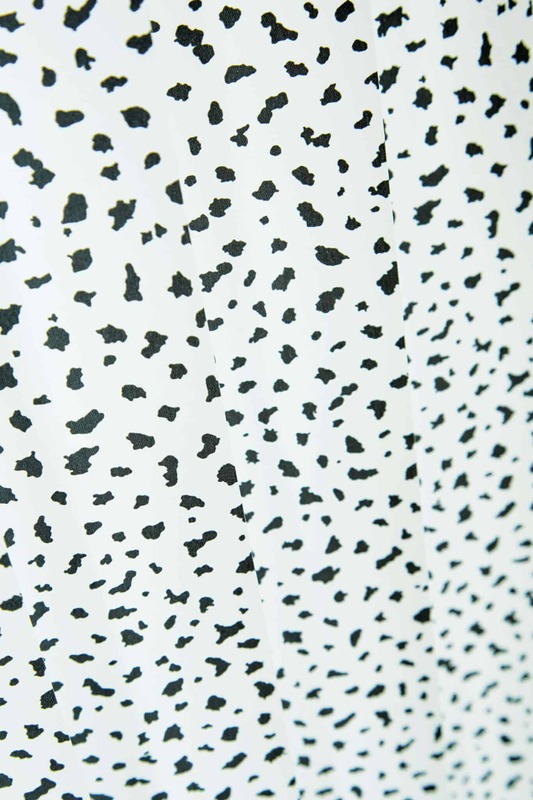 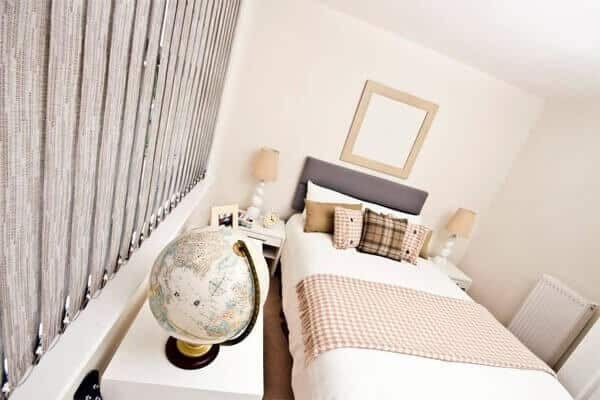 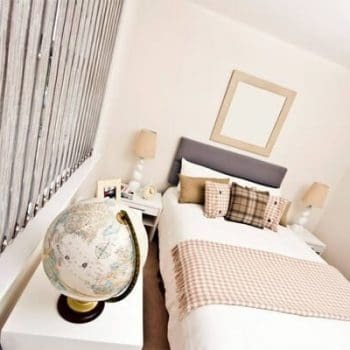 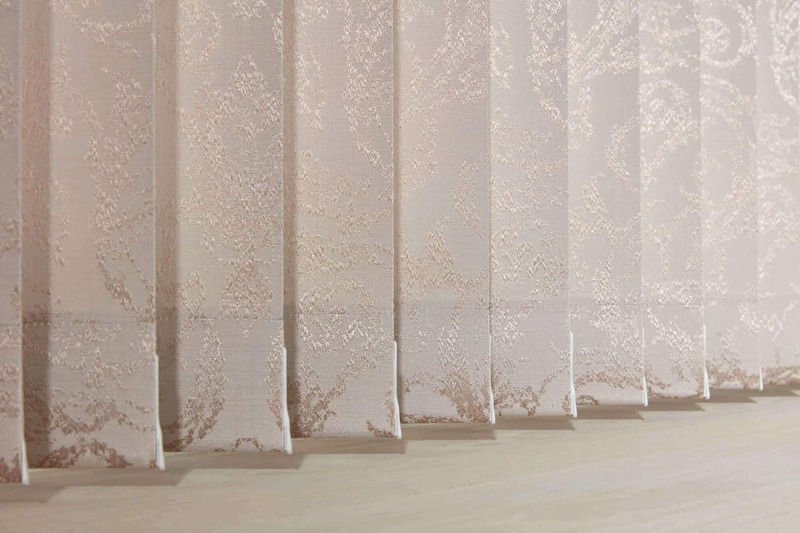 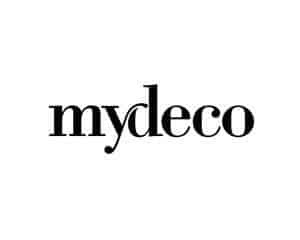 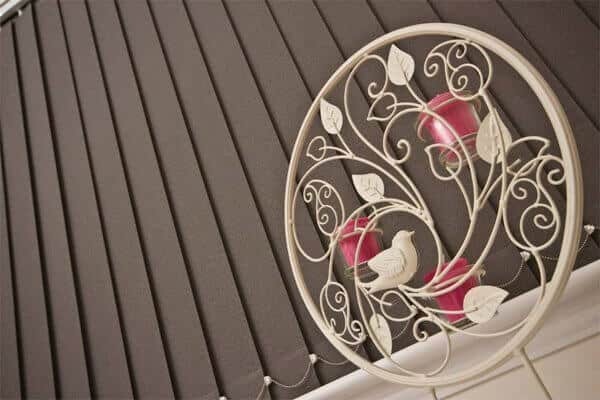 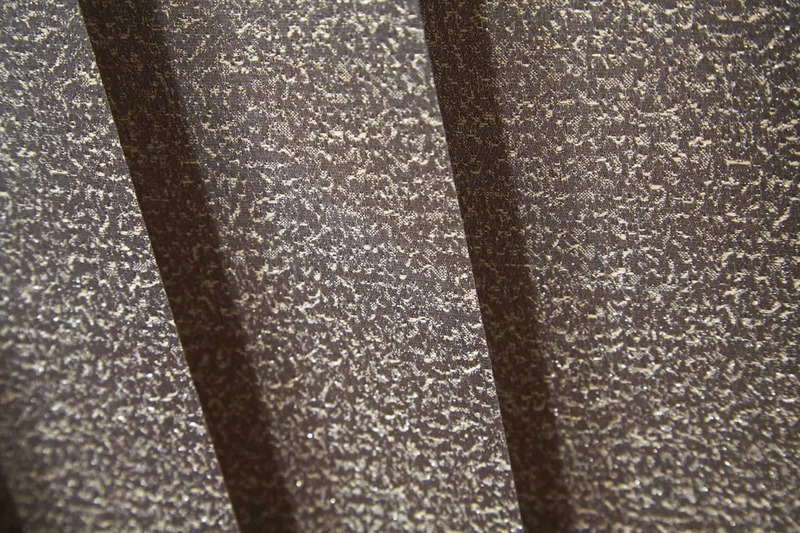 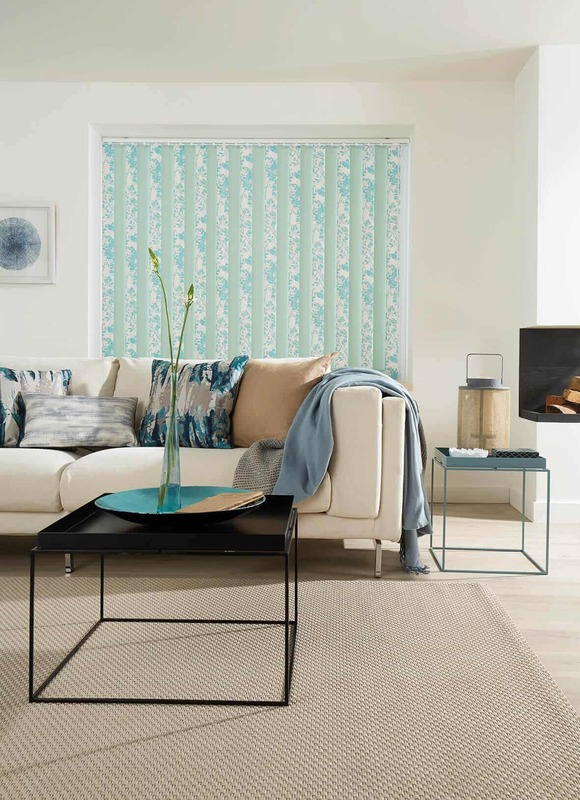 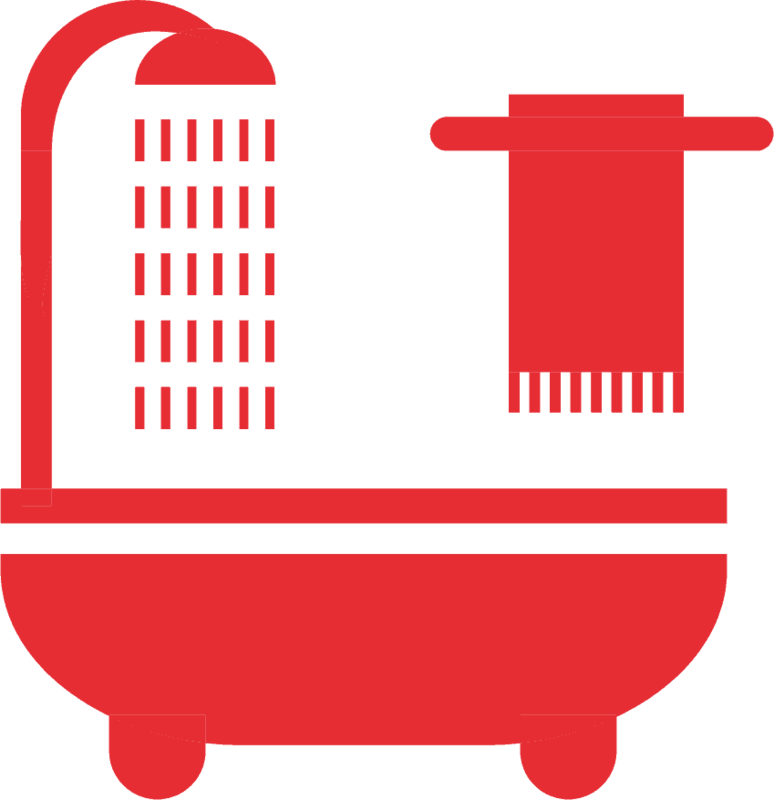 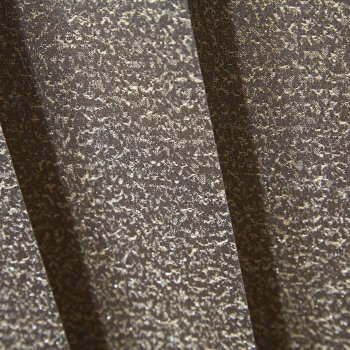 We have a vast choice of materials, colours, patterns and styles for you to choose from. 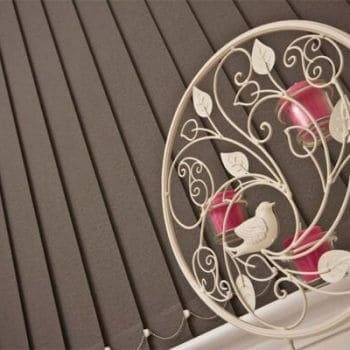 Have you already got a particular look in mind? 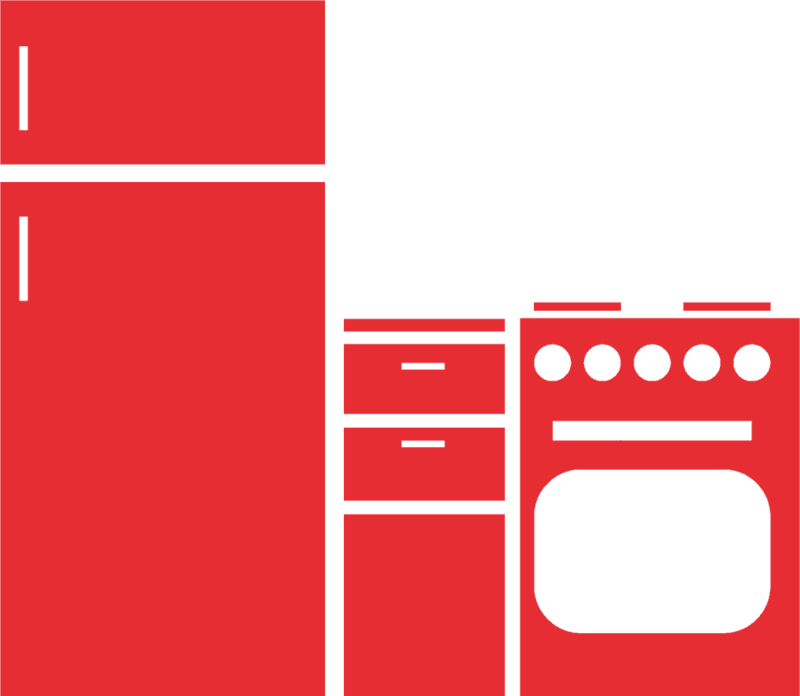 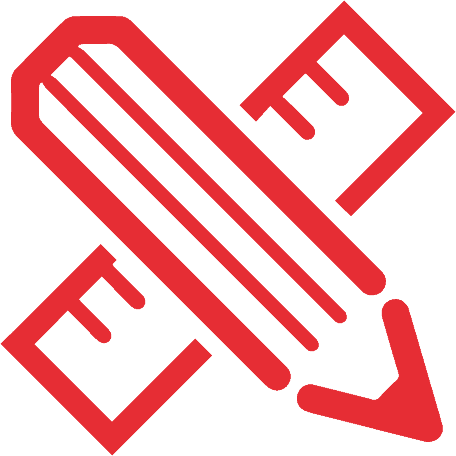 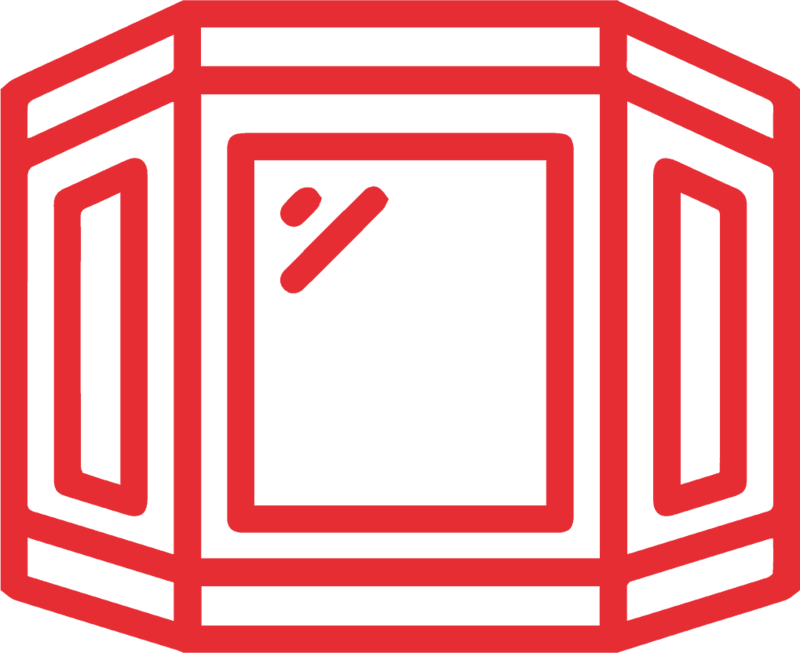 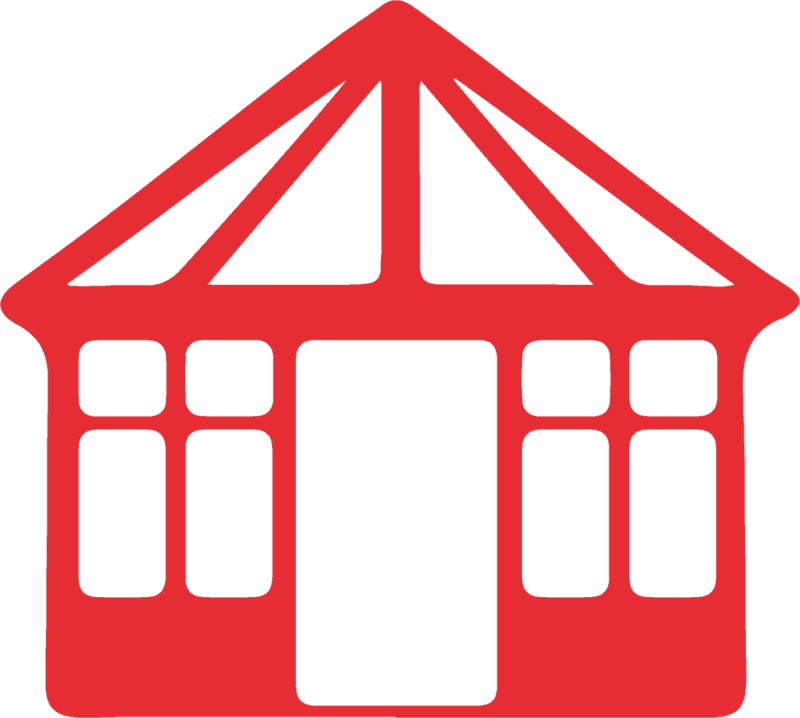 Are you interested in seeing the range and getting advice before making your choice? 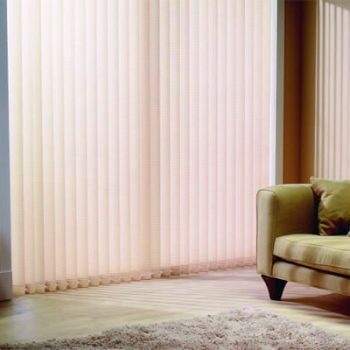 Whatever your plan is, we will accommodate with free measuring and fitting to ensure that the end results speak for themselves.